Contents: 4 Tea Cups, 4 Sauces, a Tea Pot with Lid, a Sugar Pot with Lid and a Milk Jug. 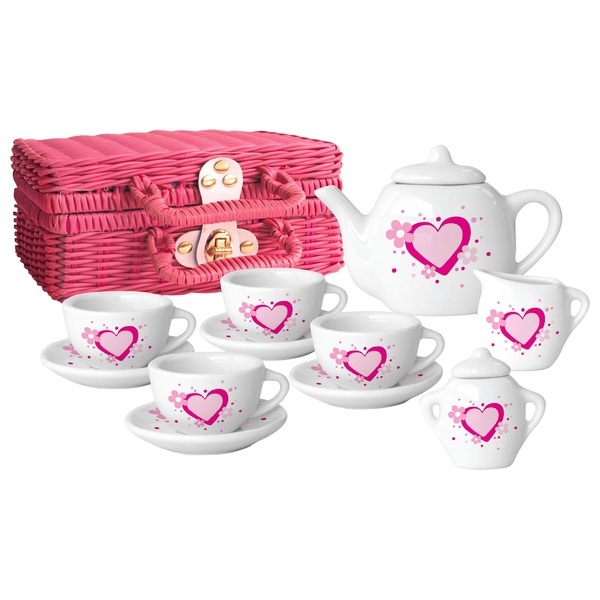 All ready to have friends, teddys and dolls visit for your own tea party with this 13 pieces sweet heart porcelain tea set. Both fun and educational, this Pink and White Sweet Heart Porcelain Tea Set is an excellent complement to any toy kitchen or toy house.